Uh oh! While Watusi’s night may not be over after all, we’ll have to leave him to figure it out on his own. Come back next time for the start of an all-new storyline! 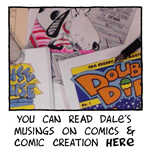 And, while it may seem cheezy, I wanted to let you all know how thankful I am that you’re giving me some of your time each week to read my little comic strip. Your eyes and comments are great motivators! I hope it brings you continued enjoyment and that you have a happy and safe Thanksgiving holiday! It may look better when the trees are leafed out … but it’s sure easier to draw like this! By the way, I’ve restored “Beyond Photocopies” over on my smearysoapboxpress blog; check it out if you’re interested in comic coloring techniques. Hmmm… guess Watusi may be calling it a night sooner than I thought! Sometimes things just don’t go as smoothly as they should! 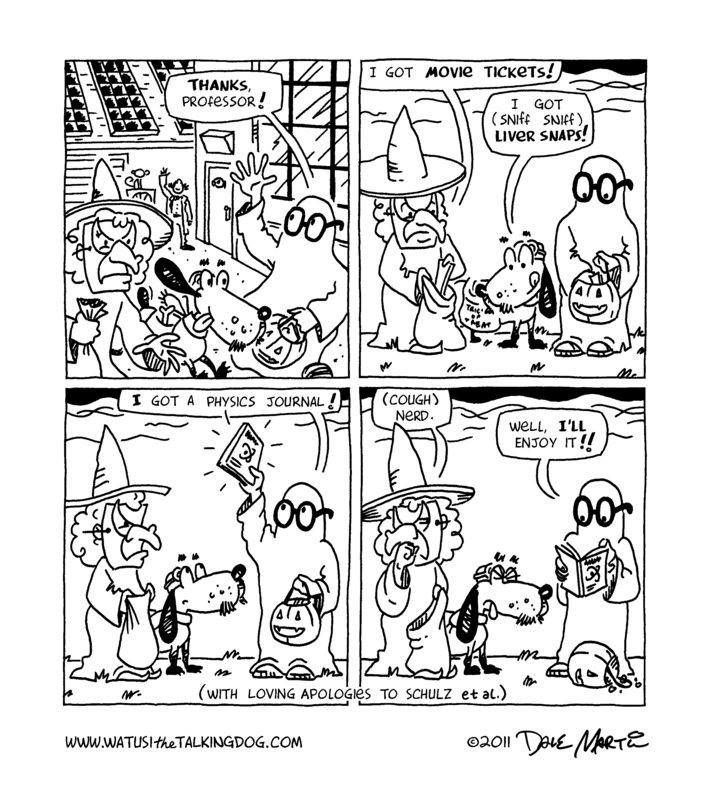 Trick-or-treating may be over for Watusi, but the talking dog’s adventure is just beginning! By the way, I’ve posted a batch of comic reviews– including my thoughts on DC’s “New 52” relaunch– over at www.smearysoapboxpress.com ; check ’em out if you’re so inclined!